Working with Collect's specialized service partners expands the scope of your workflow and automates valuable functions. We offer you several options within each category, knowing that each has been vetted by Collect! for technical compatibility and reliability. The interchange of data between Collect! and the specialized service partner can be in real time through an integration, through scheduled batch processes or ad hoc. Integrations offer the seamless, simultaneous use of Collect! and a service partner, thereby saving collector time. We are continually adding integrations, largely in response to client requests. Contact us to discuss possible partner arrangements or integrations. Integration BillingTree provides payment technology, innovation and merchant services for billed direct markets including Healthcare, Financial Services, B2B and ARM. We own the payment process for our clients and partners, offering leading edge consumer communications, payment channels and fully integrated solutions. Our compliance expertise and highest level of data security enables us to maintain strong relationships with the card brands, regulators and our network of partners and banks offering leading edge consumer communications, payment channels (web payment portals, IVR and SMS) and fully integrated solutions. Integration Payscout has created a market-leading accounts receivable management payment platform that provides payment solutions for all aspects of collections and revenue cycle management for both domestic and international agencies. We offer several core products and services: Condor, Payment Processing for ARM, and an award-winning ARM Payment Gateway. Our feature-rich payment gateway is fully integrated with Collect! to offer you real-time processing, PCI Scope reduction, recurring billing, customer database, tokenization, payment splitting capabilities, Text to Pay options via SMS, robust reporting for formatting options to meet your client and system needs. Multiple payment-type acceptance: credit cards, debit cards, HSA cards, ACH, Check 21, etc. Apply Online Now for a Payscout Merchant Account! Integration EFT Network has been a leading provider of Electronic Payment Processing solutions for the Collection industry for 20+ years. These innovative payment solutions help agencies reduce operating expenses while automating payment processing and posting, for faster more efficient - and profitable - collections. Today, EFT Network has over 2,000 agencies processing payments electronically. These unparalleled payment processing solutions - along with EFT Network's technical expertise - ensure customized, flawless integration with Collect!. Integration Fortis Pay + Collect! have built a custom browser based API to seamlessly connect Collect! with Fortis Pay's payment processing functionality. Essentially, we are a "wholesaler" for Visa/MC and can be more competitive in our rates and fees than the banks can directly. The advantage of using Fortis Pay over other processors goes well beyond rates and fees though. We are leading the industry in payment security, technology, and user-friendly integrations. Fortis Pay's executive team and managers are made up of business professionals who bring their past business experiences to your industry. Stop calling 1-800-GoodLuck! You need a trusted partner in payments with the customer support and personal attention you deserve! Experience the Fortis Pay difference today: collect.fortispayments.com. Integration If you want to be paid, it's time to be Savvy! Payment Savvy is an all-encompassing merchant service provider for the ARM industry. Let our expert team create a custom payment solution for your business to maximize efficiencies and increase revenue. Our Savvy Suite of credit/debit card and ACH acceptance products include fee-free processing, online payment gateways, web & recurring payments, integrated voice response, pay by text, and many more! Integration Pending PaymentVison is a biller-direct, PCI-certified, electronic payment gateway provider. PaymentVision offers clients the unified ability to accept all forms of payment - check, ACH, cash, and credit or debit card payments, through their own call center all at very competitive pricing. Two of our newest products include an online debt negotiation tool as well as a customizable Mobile app. PDCFlow is a leading provider of comprehensive Accounts Receivable practice management and consulting services. They set the standard for customer service, information management, reporting, and technology. They are committed to providing high quality cash accelerating solutions and outstanding service, which insures their customers a successful and prosperous experience. Their goal is to help their customers experience success. To accomplish this they have created an environment that offers agency customers / patients multiple, easy methods to pay by any payment source, while positively enhancing their experience of resolving the obligation. PDCFlow is a cloud based payment processing service founded in 2005. PDCFlow allows companies new to merchant processing to accept credit cards and ACH transactions for payment, via the phone, internet or on the go with mobile devices. PDCFlow compliments existing merchants with features designed to reduce receivables and tremendously increase cash flow. They actively assists U.S. based businesses and organizations nationwide, including but not limited to, utility companies, medical facilities, and the accounts receivables management industry. A Delaware limited liability company, PDC Pay Data Center, doing business as PDCFlow, is owned and operated by Beyond Investments, Inc.
TotalTransact by Fundtech makes processing electronic payments faster and more accurate for your collections business. TotalTransact provides convenient, multi-channel payment acceptance, initiation, and depositing services. The TotalTransact suite delivers a powerful set of flexible and cost-effective payments tools that speed time to market, reduce financial risk, and improve profitability. When integrated with Collect!, TotalTransact dramatically enhances the ability of merchants and corporations to accept multiple forms of payments across their customer channels. POST bill pay provides many features and benefits to you and your customers. Reduces costs in bill delivery and payment. More collection channels: in person, by phone and on the Internet. TxtaCheck by EFT Network is a 'first of its kind' technology, allowing you to accept true check payments from consumers, in a consumer not-present environment. Stop jeopardizing your NACHA return thresholds, spending time and money complying with Reg. E, paying a costly discount rate on card transactions, and start taking checks again. Transactions are fully compliant and regulated as a UCC Check payment. BPay has helped make the lives of millions of bill-paying Australians easier, allowing bills to be paid quickly and securely, 24/7 through an Internet or phone banking service. In 2009, over 264 million payments were made using BPAY. Collect can generate secure BPay check-digits onto your letters , emails or SMS. POST billpay provides many features and benefits to you and your customers. Collect! can print Australia Post barcodes directly onto your demand letters. Integration TCN is a leading provider of cloud-based call center technology for enterprises, contact centers, BPOs, and collection agencies worldwide. Founded in 1999, TCN combines a deep understanding of the needs of call center users with a highly affordable delivery model, ensuring immediate access to robust call center technology, such as SMS, email, predictive dialer, IVR, call recording, and business analytics required to optimize operations while adhering to callers' requests. Its "always-on" cloud-based delivery model provides customers with immediate access to the latest version of the TCN solution, as well as the ability to quickly and easily scale and adjust to evolving business needs. TCN serves various Fortune 500 companies and enterprises in multiple industries, including newspaper, collection, education, healthcare, automotive, political, customer service, and marketing. For more information, visit www.tcnp3.com or follow on Twitter @tcn. With T-Max, your company has a wide variety of dialers at your disposal. With the Predictive Dialer, it is great for collections and sales. You can have your agents on the phone with a live contacts every 5-20 seconds using a much more efficient dialing method than other dialers widely used. Our dialers will make your 5-10 agent operation perform like a 20-40 agent operation for a fraction of the cost of hiring all those extra free Trial agents. You can dial a large volume of phone numbers in a very short amount of time producing large amounts of call backs and transferred calls. The Voice Broadcast is also great for emergency alert messages and great with schools, Like informing of school closings and new events. With the Voice Broadcast it is great for spas, doctor's offices and appointment reminders. With the inbound blend you can have all your agents logged into Predictive Dialer taking all calls from the Voice Broadcast Dialer, letters, e-mails, and any other communications you sent. With the Live Contact Web Form you can have your dialer immediately call anyone on your web site after they fill out the form and push the send button. This allows you to connect directly to your new lead. Call us today to get started at 620-607-0249. Noble Systems Corporation is a world leader in customer contact center technology. Every day more than 30,000 agents sit down to work at a workstation powered by Noble Systems. From the company down the street, to such far away places as Finland and Australia, those agents amazingly handle millions of customer contacts each day, and every one of those calls is handled in the most efficient manner possible. IAT - Stop imagining what a 300% increase in agent talk time could do for your business and realize it. With IAT, tailored dialling solutions to fit your company's needs-whether large or small-are at your fingertips. Enjoy IAT's predictive dialer and outbound IVR technology using our hosted dialer services, site-premised systems or a combination of both. Dial Connection is a call center solutions provider providing innovative solutions for inbound/outbound call management. DPTS Enterprise, Dial Connection's flagship product, is a complete solution for the call center focused on efficient, robust solutions for the full-service collection agency. Providing the best in technology, customer support and pricing, Call Center Development Services (CCDS) prides itself in offering state-of-the-art telemarketing management resources to call center agencies of all sizes. Our flexible rental offer makes advanced call processing technology available to call center owners who would otherwise face high start-up and implementation costs. And with the launch of Centcom 's 100% web-enabled Predictive Dialling solution in 2003, CCDS has made call center technology even more affordable. To achieve your business goals you no longer need to spend thousands of dollars on telemarketing hardware. Receive the versatility and cost benefits of Predictive Dialling without the need for additional hardware-all you need is an internet connection and a standard phone line! Please Contact: Raymond Poulin at 514-731-5046, extension 225. Integration Nexmo, the Vonage API Platform, develops and markets communication APIs to enable developers and businesses to rapidly innovate the way they communicate with their customers. The Collect! and Nexmo integration provides enhanced real-time SMS messaging experiences that improve workflow, lower cost, and produce higher response rates. Text in batches or individually quickly and efficiently, and receive return data - all directly to Collect! Integration FocusOne is dedicated to providing the absolute best in multi-channel customer communications. Our customizable forms matched together with a systemic approach to a promise to deliver your statements/letters brings results to your bottom line. Our unique combination of security, data technology, customer service, as well as expertise in both high speed & custom commercial print, allows us to meet, service, and exceed your communication needs & expectations. Integration RevSpring provides collection data management, high-speed laser printing and mailing services nationwide. We have established a collection software interface with Comtech to service collection agency customers throughout the country. Our unique Intelligent Collection Letter (ICL®) system was designed to allow collection agencies to focus on their core competencies of debt collection, while outsourcing the printing and mailing of their collection notices. ICL® will reduce your monthly mailing costs, reduce return mail and even increase the amount of letters that get delivered! Integration Since 1994, CompuMail has been delivering innovative communication solutions and print and mail services to clients that span across multiple industries. We offer a robust list of solutions with unique platforms for service delivery that can meet all of your business essentials; physical and digital communications, data protection and secure portals, coupled with superior customer service and support. CompuMail cultivates lasting partnerships with their valued customers to ensure that they see the best possible results under the highest level of data security, at the most competitive price. Technology changes and business changes, but CompuMail's commitment to service does not. Integration Financial Imaging, founded in 1964, is continually recognized by its clients for the highest level of customer service to the collection industry. Your letter requests and revisions are made very quickly to ensure you are always in compliance. Our client's return mail is significantly reduced using proprietary software. You will always get excellent quality, confidentiality, security, service and delivery for your data and letters. All letters are mailed from our facility in the southeastern United States for very quick delivery within and outside the southeast. Bing is a sensational way to conveniently and securely post mail directly from Collect!. By simply clicking the Print button in Collect, mail is beamed electronically to a Bing mailing house and automatically printed, folded, enveloped and posted with Australia Post the very same day. Accounts with email addresses can receive a PDF of the letter directly to their email instantly. A complete copy of each letter is kept inside Collect! for instant retrieval. eBureau offers Accounts Receivable Management professionals highly accurate, custom predictive scoring and powerful skip tracing information services that help maximize profit-per-account. These solutions guide mail, telephone and resource allocations to increase cash flow rates and lower costs. eBureau provides receivables management firms the most advanced scoring solutions available in the market. Our collections eScores are highly effective at predicting collection probability, returned mail and other key outcomes in order to maximize overall profitability per account. eBureau's unique methodology enables receivables management professionals to score and prioritize every account. eScores take into consideration over 50,000 variables that account for the "contact-ability" of a debtor as well as the debtors ability to pay. With eScores, there is no such thing as a "no-hit," enabling a comprehensive score-driven strategy. In conjunction with eScores, eBureau offers eLink, a comprehensive, highly flexible and affordable skip tracing information service that lets you select only the information you need. ASA Corp. is excited about partnering with Collect! and providing predictive analytics and scoring to their worldwide customer base. ASA analytically optimizes collections by maximizing recovery amounts while minimizing resource consumption, including time. Collections can be prioritized based on likelihood and/or ability to pay, plus the amount and/or timing of payment-the level of refinement is up to you. ASA also can segment based on specific profiles such as self-curing, assist with portfolio evaluations, and more. Scoring can be a seamless part of a Collect! screen, executed in real-time or batch, or whatever fits your operational style. Accurint® is a LexisNexis® service that brings data to life. Accurint provides information products that allow organizations to quickly and easily extract valuable knowledge from huge amounts of data. These innovative products are made possible by integrating powerful technology, tens of billions of data records on individuals and businesses, and proprietary data-linking methods. Electronic Data Exchange LocateSmarter offers customizable batch skip tracing and compliance solutions such as phone append, place of employment and various scrub and monitoring products. With a focus on high quality data and an intricate understanding of the accounts receivable industry, we have built skip tracing products that improve contact rates, reduce operating costs and minimize the risk of complaints and litigation associated with inaccurate data. Learn more about our focus on data quality in this video. View all Batch Skip Tracing Products here. Mass-IT MASS INQUISITOR - Collection and law enforcement agencies require access to accurate and reliable information to local individuals or businesses. Having real-time, on-line access to up-to-date telephone company directory assistance and Social Security databases, can provide vital information and leads to support collection activities. MASS INQUISITOR provides easy, yet powerful directory assistance searching capabilities using a sophisticated searching algorithm that only requires a few letters of a person's last name. D&B (NYSE:DNB), the leading provider of global business information, tools, and insight, has enabled customers to Decide with Confidence for over 160 years. D&B's proprietary DUNSRight™ quality process provides customers with quality information whenever and wherever they need it. This quality information is the foundation of D&B's solutions that customers rely on to make critical business decisions. Customers use D&B Risk Management Solutions to mitigate risk, increase cash flow and drive increased profitability; D&B Sales & Marketing Solutions to increase revenue from new and existing customers; and D&B Supply Management Solutions to identify purchasing savings, manage risk and ensure compliance within the supply base. D&B's E-Business Solutions help customers convert prospects into clients faster. Acxiom provides public record access technology that helps Americans protect themselves, their businesses and their communities from risk. Whether it's the national authorities looking for terrorists, skip tracers attempting to locate debtors or banks preventing identity fraud, Acxiomoffers the data and technology to get the job done. Integration As our business grows faster and more complex, there is a constant need to say who we are and what we stand for--a common purpose that guides us in everything we do. This common purpose begins with a belief that a business whose principal product is information must set an unparalleled standard for integrity. For over 105 years, that has been the Equifax legacy. We call it doing business THE EQUIFAX WAY-our operating principles and our business values. Integration Experian helps organizations find the best prospects and make informed decisions to personalize and develop customer relationships (CRM). We support the direct marketing, business information, decision support and outsourcing requirements of over 40,000 organizations. We also help consumers: more than six million people a year purchase our credit report products and automotive history information. Integration TransUnion LLC is the global provider of information and decision-processing services, maintaining one of the largest databases of consumer credit information in the world. With more than 4,000 employees worldwide, the company serves a broad range of industries including financial and banking services, insurance providers, mortgage and real estate services, direct marketers and retailers, collection agencies, communication and energy companies, and healthcare facilities. TransUnion serves all 50 states and multiple international markets through its own sales offices and independent credit bureaus. TransUnion is a privately held corporation. Baycorp Advantage is a total solutions provider offering you a complete range of products and services encompassing each stage of the customer life cycle. Integration DocuSign® is changing how business gets done by empowering more than 100,000 companies and more than 50 million users in 188 countries to sign,?send and manage documents anytime, anywhere, on any device with trust?and confidence. DocuSign replaces printing, faxing, scanning and overnighting documents with the easiest, fastest, most trusted way to make every approval and decision digital. Our eSignature software and Digital Transaction Management platform enable organizations of every size, industry and geography to accelerate contracts, approvals and workflows. DocuSign keeps life and business moving forward. Backup of the Collect! database is a best practice for running your collection business. Comtech highly recommends that you have a backup process in place to secure the key data that feeds your business, as catastrophic hardware or operating system failure is a risk that can be managed. Should you want to automate data backups with a service available over the Internet, we recommend the MozyPro service. As an exclusive offer for Collect! Members, we can offer a 15% discount on signups for new or additional Mozy services. Please review the MozyPro service site for more details, and contact a Collect! Members Service representative for assistance in configuration. eSilo provides managed Data Disaster Recovery Solutions to over 5000 Small to Medium and Enterprise sized businesses around the world. Any size organization can benefit from eSilo's data storage technology and managed services as the disaster recovery solutions can be customized to any IT environment. Whether storing gigabytes or terabytes, eSilo reliably protects valuable information including: file servers, databases and emails on servers, pc's, laptops etc., no matter the location on a scheduled basis that is consistent, secure, reliable and affordable. Applied Innovation's suite of solutions allow you to automate workflow and improve efficiencies. Our client access portal, ClientAccessWeb, allows for secure transfer of information, giving your clients an on-demand comprehensive reporting system, account placements and secure messaging - increasing sales and client retention. PayStream offers 2 websites for 365/24/7 online payments - PCI, Reg E and E-sign compliant. GreenLight allows for e-signatures in seconds. Utilizing text or email, consumers can access and authorize payments, allowing businesses to collect faster while staying compliant. Manage compliance and deliver statements and reports automatically using Papyrus, our content management system. Applied Innovation's solutions are Collection Perfection. You've Got Claims Automated Collection Control, Inc. (ACC) was formed in 1990 by Stevan Goldman and Jeffrey Zuck. With the emergence of the Internet as a viable business tool in the late '90s, ACC renamed its EDI service to " YouveGotClaims.com", and initiated YouveGotClaims.com as a tool to help participants in managing the thousands of claims that were being processed and sent between those with claims to forward and their service's nationwide. Today, over 800 participants, including senders and receivers, are enjoying the power of YouveGotClaims.com, processing tens of thousands of claims every month. Metric Tracker works with collection operations and finance companies to automate existing reports or introduce new and novel reports and analytical tools to improve collections performance / efficiency and to reduce data compilation and report production time and costs. Metric Tracker's team of database professionals and collections industry focus allows us to quickly streamline and improve analyses of your portfolio and of your production (calling / lettering / legal) activities. MetricTracker is fluent with the Collect! data model and database access protocols in order to hit the ground running for your next analytics initiative. Integration Learn.net is in the training business! We build software applications for interactive learning from classroom-to-desktop-to-mobile. Our rapid authoring platform generates interactive videos which can be played on most mobile devices. Our latest solution, Eterna, automatically delivers compliance and best-practices test questions to call center employees, such as debt collectors. Eterna is intelligent and issues individualized test questions based on a learner's "weakest" competency, thus raising the proficiency level of the entire group as quickly as possible. Trainers and Compliance Officers have access to detailed reports listing their employees' ranking, test scores and compliance scores. Collect! has integrated the Eterna application to facilitate automated compliance testing and certification of debt collectors. When Collect! 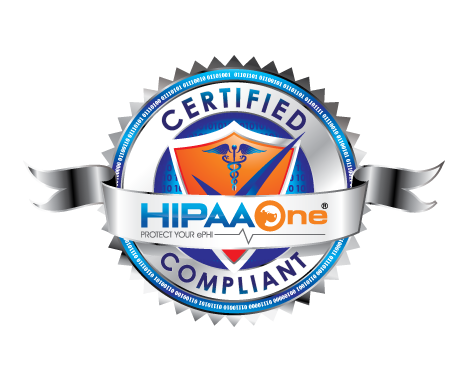 customers sign up for Eterna, they receive access to FDCP, HIPAA, State Regulations, SCRA and other tests at no additional cost. For more information, go to http://www.learn.net/eterna. To sign up, click here. Credit Bureau Strategy Consulting, LLC Whether you are a Collection Agency, Debt Buyer, Attorney or Compliance Professional, CBSC's services are designed to help mitigate litigation and regulatory risk resulting from inaccurate or incomplete consumer credit bureau reporting. FACTA 312 will require all companies that furnish data to the consumer credit bureaus have specific compliance policies and procedures in place to evaluate their data for accuracy and integrity before, during and after their monthly bureau files are sent. CBSC can provide Collection Agencies with the knowledge and tools required to comply with FACTA 312's Credit Bureau Reporting Data Accuracy & Integrity requirements for building a comprehensive compliance process, as well as develop ongoing compliance processes and reviews. CBSC also provides portfolio purchase due diligence guidance to help Agencies identify the financial and regulatory risks that may result from both the prior owner's bureau reporting policies and the Agency's own internal reporting process. Recently major financial institutions began to see disputes grow exponentially each month. By the time a handful of the larger reporting issues were identified and addressed, over $22 BILLION dollars in potential regulatory fines were avoided. Not reporting yet? CBSC can get you started! RZD Investigative Group Consumer Skip tracing, Commercial Skip tracing, Internet Skip tracing, Asset Searches, FDCPA Consulting services. RZD Investigative Group offers a full range of Skip trace services and consulting. Call RZD and see how they can assist you in creating your own skip trace department or training your existing staff to enhance their current skills. RZD offers solutions for both large and small companies.